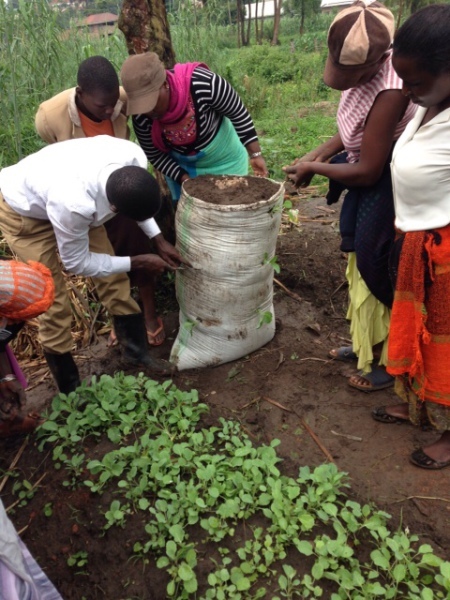 Currently in operation in and around Kampala, Uganda, this very successful and easily maintained program provides urban-dwelling people who have limited means and space with the means to produce fresh vegetables for their own families and neighbours. Simple watering techniques are demonstrated. A completed growing sack is almost ready. 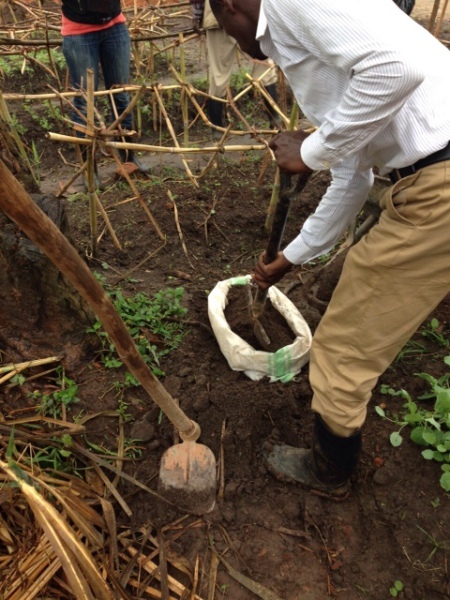 Drainage stones and fertilizer is layered into the sack. The bottom of a growing sack gets started. 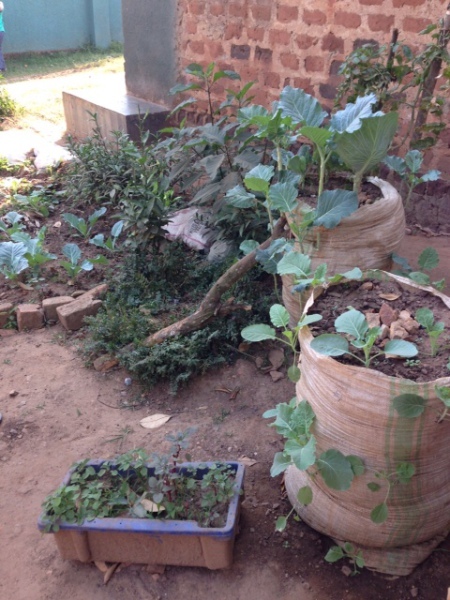 Several growing sacks, with vegetables starting to show. 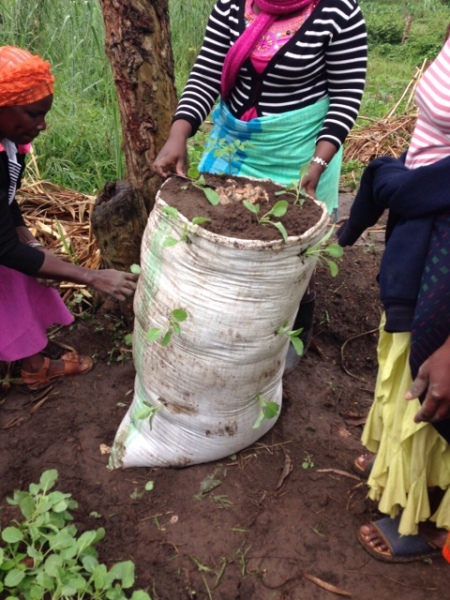 In addition to growing sacks, small spaces can be planted. 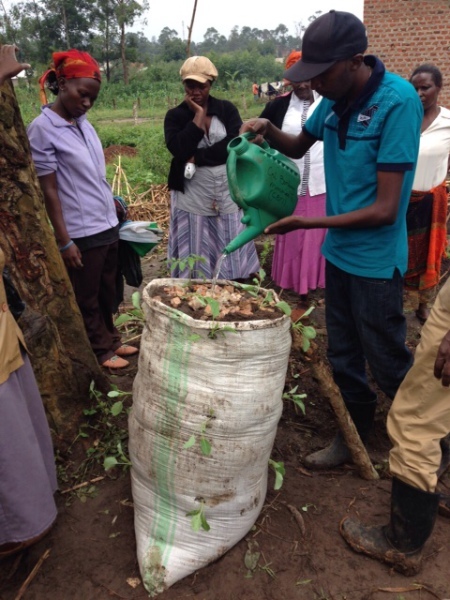 These pictures demonstrate some of the features of the Urban Farming Program in Kampala, Uganda. 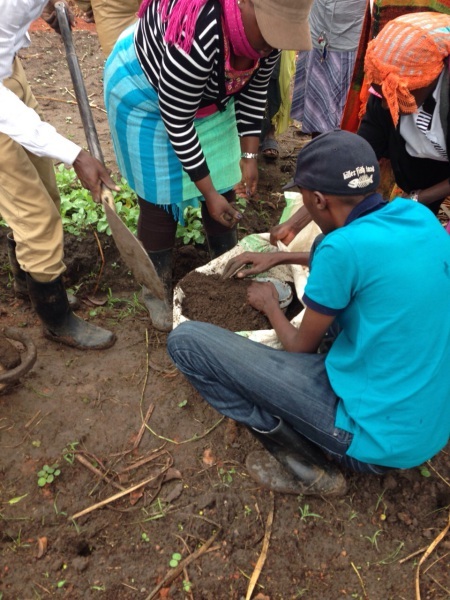 Participants are provided with basic instruction and necessary supplies to start their own "micro-gardens" in which they can grow a wide variety of fresh vegetables, which might normally be beyond their ability to purchase in local markets.